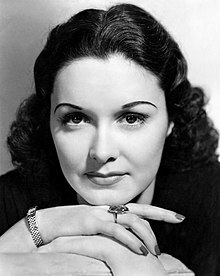 Gail Patrick was born Margaret LaVelle Fitzpatrick on June 20, 1911, in Birmingham, Alabama. Her parents were Lawrence C. Fitzpatrick, a municipal fireman, and LaVelle Fitzpatrick. Patrick got occasional top billing—as she did in King of Alcatraz (1938) and Disbarred (1939), both directed by Robert Florey—but she was most often the cool, aloof, usually unsympathetic "other woman". She appeared in more than 60 movies between 1932 and 1948, usually as the leading lady's extremely formidable rival. 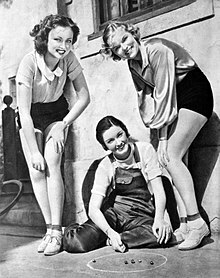 Some of these roles include Carole Lombard's spoiled sister in My Man Godfrey (1936), Ginger Rogers's rival in Stage Door (1937) and Anna May Wong's sophisticated competitor in Dangerous to Know (1938). 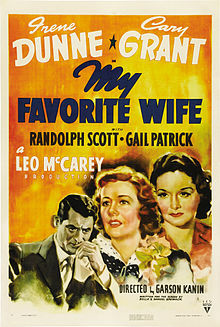 Patrick played Cary Grant's second wife in My Favorite Wife (1940), with Irene Dunne, and helped Leo McCarey write the judge's lines in the second courtroom scene. Praising her perfect combination of haughtiness and malice, as well as her comic gifts and refusal to play for sympathy, film scholar Maria DiBattista called her "the underrated Gail Patrick, who excelled in feckless or selfish or simply second-best brunettes." Patrick attributed her screen success to an accident of timing. At the particular time that she arrived in Hollywood, the movie studios wanted hussies, and they felt she looked like one. "I never thought I had much to do with it," Patrick recalled. "Somebody made me up, somebody did my hair, somebody told me what to say and do, and somebody took the picture." On December 17, 1936, Patrick married restaurateur Robert H. Cobb, owner of the Brown Derby and principal owner of the Hollywood Stars baseball team. An ardent baseball fan, she was called "Ma Patrick" and threw out the ceremonial first pitch at the team's new Gilmore Field on May 2, 1939. 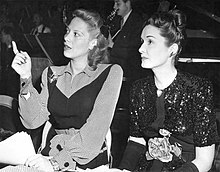 To Hollywood's surprise, the Cobbs separated in October 1940 and were divorced in November 1941. Patrick's patriotic service during World War II included four tours of Canada promoting Victory Loans, making her the only film star to visit the entire nation from coast to coast. On her return from a war bond tour she met Lieutenant Arnold Dean White, a pilot in the U.S. Navy Naval Air Transport Service, and they were married July 11, 1944. In June 1945 she gave premature birth to twins who soon died. :290 She became diabetic and had to take insulin the rest of her life. :290 She and White divorced in March 1946. 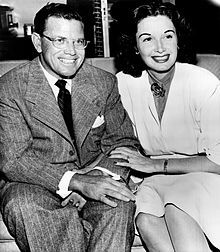 In July 1947 Patrick married her third husband, Thomas Cornwell Jackson, head of the Los Angeles office of the J. Walter Thompson advertising agency. She created a business out of her home, designing clothing for children, and moved to a shop on Rodeo Drive that she called the Enchanted Cottage. Patrick ran the shop for eight years with considerable success. :19 A 1947 short film, part of the Paramount Pictures Unusual Occupations series, includes scenes of Patrick with patrons including Maureen O'Sullivan. Cornwell Jackson was literary agent for attorney-author Erle Stanley Gardner, creator of the fictional criminal defense attorney Perry Mason. After a series of disappointing Warner Bros. films and a radio series he despised, Gardner had refused to license the popular character for any more adaptations, but Patrick won the author's trust. She had maintained her network in show business, and shared Gardner's love for the law. Patrick, Jackson and Gardner formed a production company, Paisano Productions, of which she was president. 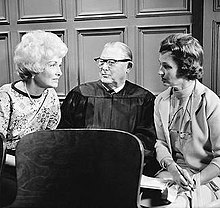 Patrick developed the television series Perry Mason and sold it to CBS, where it ran for nine seasons (1957–66) and earned the first Silver Gavel Award presented for television drama by the American Bar Association. Gail Patrick Jackson was its executive producer. She was one of the first women producers. Longtime CBS executive Anne Nelson, who handled contract negotiation and other business affairs for CBS, called Patrick "my adversary in business, but my friend in life." In a 2008 interview, Nelson reported that Patrick was the only female executive producer in prime time during the years Perry Mason was on the air. "Women today won't believe that things were that tough," Nelson said, "but Gail was alone in her bailiwick, and I was the only female executive not in personnel at CBS at the time." Nelson said that years later Patrick told her she had written up the contract herself, and that it was so wild and favorable to Paisano Productions that she had no idea CBS would accept it. "But we bought it," Nelson said. "And it has been a very big financial success, not only for CBS but for the Paisano partners over this many years." Patrick also developed a half-hour Paisano Productions series based on Gardner's Cool and Lam stories. :19 A pilot directed by Jacques Tourneur aired on CBS in 1958 but a series did not materialize. Patrick's home, a gated estate of nearly seven acres on La Brea Terrace in Los Angeles, was occasionally a shooting location for Perry Mason, beginning with the third season. :34360 The mansion was built in 1911 for Dustin Farnum. Patrick purchased it from the estate of writer-producer Mark Hellinger after his death in December 1947. Patrick was a Democrat who supported the campaign of Adlai Stevenson during the 1952 presidential election. Patrick served two terms (1960–62) as vice president of the National Academy of Television Arts and Sciences and as president of its Hollywood chapter. She was the first woman to serve in a leadership capacity in the academy, and its only female leader until 1983. 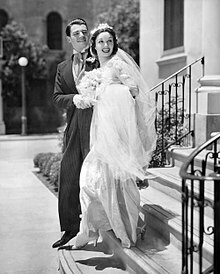 In 1974 she married her fourth husband, John E. Velde Jr.
Gail Patrick died from leukemia on July 6, 1980, age 69, at her Hollywood home of more than 30 years. She had been treated for the disease for four years but kept her illness secret from everyone but her husband. :290 She was cremated and her ashes scattered at sea off Santa Monica, California, in a private ceremony. Patrick was twice named Los Angeles Woman of the Year by the Los Angeles Times, and she received awards from the National Association of Women Lawyers and the City of Hope National Medical Center. In 1955 Patrick returned to Howard College (now Samford University), her alma mater, for the laying of the cornerstone of its new Edgewood Campus. She was presented with a citation for outstanding achievement, "in recognition of achievements in the arts, in service to her fellow man, and devotion to home and family". Samford University presents the Gail Patrick Directing Award in her honor. In 1960 Patrick received the Mystery Writers of America's Raven Award for her contributions to the mystery genre as executive producer of Perry Mason. In 1962 Patrick was named the Delta Zeta Woman of the Year. A member of the sorority at Howard College, Patrick was vice president of the first board of directors of the Delta Zeta Foundation. A $1 million bequest from the Gail Patrick Velde Trust established the sorority's Gail Patrick Women of Distinction Program, which provides undergraduate and graduate scholarships and the honorarium awarded to Delta Zeta alumnae designated as woman of the year, the organization's highest honor. In 1970 Patrick was appointed national honorary chairman of the American Lung Association's Christmas Seals campaign. She accepted the post as "a meaningful way" to pay tribute to her Perry Mason colleagues who died of respiratory disease associated with tobacco smoking: Ray Collins, who died of emphysema; William Talman, who publicly blamed cigarettes for his lung cancer; and William Hopper, who died from pneumonia following a stroke. "I have a personal share in the untimely loss of my co-workers, for they were my friends, too," Patrick said. In 1973 Patrick became the first national chairman of the American Diabetes Association Board of Directors. The Gail Patrick Innovation Award is presented by the organization in her honor, to advance research toward the prevention, treatment and cure of diabetes. The Gail Patrick Stage is a film soundstage that opened in 2008 at Columbia College Hollywood. Patrick was a member of the film school's board of trustees and funded the facility through her estate. 1947 Unusual Occupations Herself "Film Tot Fairyland"
August 16, 1937 1937 Shakespeare Festival "As You Like It"
January 24, 1938 Lux Radio Theatre "Clarence"
April 18, 1938 Lux Radio Theatre "Mad About Music"
May 9, 1938 Lux Radio Theatre "My Man Godfrey"
January 30, 1939 Lux Radio Theatre "The Arkansas Traveler"
April 24, 1939 Lux Radio Theatre "Broadway Bill"
January 29, 1940 Lux Radio Theatre "Intermezzo"
December 9, 1940 Lux Radio Theatre "My Favorite Wife"
March 9, 1941 The Free Company "An American Crusader"
April 28, 1941 Lux Radio Theatre "Wife, Husband and Friend"
February 23, 1942 Cavalcade of America "Arrowsmith"
March 23, 1942 Lux Radio Theatre "The Strawberry Blonde"
February 8, 1943 Lux Radio Theatre "The Maltese Falcon"
February 4, 1945 The Harold Lloyd Comedy Theatre "My Favorite Wife"
February 12, 1945 The Screen Guild Theater "Belle of the Yukon"
October 9, 1945 This Is My Best "The Gilded Pheasant"
November 12, 1945 The Screen Guild Theater "My Favorite Wife"
November 20, 1945 This Is My Best "This Is Violet"
December 16, 1946 Lux Radio Theatre "Killer Kates"
June 2, 1947 Lux Radio Theatre "The Jazz Singer"
^ a b c d e f g h i j k l m n o Bawden, James (April 29, 2014). "Dream Factory Time: Gail Patrick". Classic Images. Retrieved 2015-04-07. ^ "1930 United States Federal Census [database online]". Ancestry.com. Ancestry.com Operations Inc. 2002. Retrieved 2015-04-16. ^ a b Katz, Ephraim (1998). The Film Encyclopedia (3rd ed.). New York: HarperPerennial. p. 1070. ISBN 0-06-273492-X. ^ Shearer, Lloyd (April 26, 1959). "Gail Patrick, Happiest Woman in Three Worlds". Parade. ^ Sampas, Charles G. (March 7, 1938). "N. Y.—Hollywood". The Lowell Sun. ^ a b c d e f g h i Bawden, James (May 1981). "Gail Patrick". Films in Review. National Board of Review of Motion Pictures, Inc. 32 (5): 286–294. ^ a b c d e f g h i j k l m n o p q r s t u v w x y z aa ab ac ad ae af ag ah ai aj ak al am an ao ap aq ar as at au av aw ax ay az ba bb bc bd be bf bg bh bi "Gail Patrick". AFI Catalog of Feature Films. Retrieved 2015-04-10. ^ Bogdanovich, Peter (1997). Who the Devil Made It. New York: Alfred A. Knopf. p. 419. ISBN 9780679447061. ^ a b DiBattista, Maria (2001). Fast-Talking Dames. New Haven, Connecticut: Yale University Press. p. 121. ISBN 9780300099034. ^ a b Sherman, Gene (December 26, 1961). "Woman of the Year Profile: Gail Patrick Jackson Has Case for Brains, Beauty". Los Angeles Times. ^ a b United Press (October 29, 1940). "Gail Patrick to Ask Divorce". Wisconsin State Journal. ^ "Gail Patrick is Baseball's Prettiest Boss". Oakland Tribune. July 14, 1940. ^ Hudson, Maryann (October 19, 1990). "It Was Much More Than Minor Pastime". Los Angeles Times. Retrieved 2015-07-22. ^ Pool, Bob (September 5, 1997). "Extra Innings: Nostalgic Fans to Honor Minor League Field That Is Now Site of TV Studio". Los Angeles Times. Retrieved 2015-07-22. ^ International News Service (October 29, 1940). "Gail Patrick Asks Divorce". Boone News-Republican. A divorce complaint that took Hollywood by surprise was on file in superior court today. ^ United Press (November 24, 1941). "Gail Patrick Granted Final Divorce Decree". McAllen Daily Press. McAllen, Texas. ^ "Gail Patrick, Screen Star Booster of Victory Loan, Given Ovation Here". The Lethbridge Herald. October 30, 1944. ^ Associated Press (July 12, 1944). "Gail Patrick weds naval officer at Jacksonville". Lincoln Journal. ^ "Gail Patrick Honeymoons at the Beach". The Miami News. July 17, 1944. Retrieved 2015-07-06. ^ "Gail Patrick Loses Twins at Birth". Los Angeles Times. June 9, 1945. ^ a b United Press (February 16, 1946). "Gail Patrick Files Suit for Divorce". Corpus Christi Times. ^ "Arnold White Divorced by Gail Patrick". Los Angeles Times. March 26, 1946. ^ Associated Press (July 26, 1947). "Gail Patrick Bride on Coast". The New York Times. ^ "A Woman is the Driving Force Behind 'Perry Mason'". Las Vegas Sun. April 25, 1965. ^ Hirshberg, Jack (October 25, 1947). "Enchanted Cottage: Screen Star Gail Patrick Runs Shop for Tiny Tots in Hollywood". Montreal Standard. Retrieved 2015-05-09. ^ a b "The Case of the Businesslike Beauty". TV Guide: 17–19. June 21, 1958. ^ a b "Unusual Occupations". Internet Movie Database. Retrieved 2015-04-10. ^ a b Vernon, Terry (May 2, 1951). "Tele-Vues". The Independent. Long Beach, California. ^ a b Hopper, Hedda (September 6, 1951). "Hedda Hopper's Hollywood". Berkeley Daily Gazette. Gail loves her TV show which goes on after the Hollywood Stars baseball games. She's turned down 16 offers for other shows. ^ "Gail Patrick, Mate Adopt Child Here". Long Beach Press-Telegram. November 3, 1952. ^ Balling, Fredda (March 1961). "Perry Mason's Secret Ingredient". TV Radio Mirror. Macfadden Publications, Inc. 55 (4): 24–25, 75–76. Retrieved 2015-04-15. ^ "Celebrating 50 Years of Gavel Awards" (PDF). American Bar Association. Retrieved 2015-07-07. Back in 1960, Perry Mason earns the first Silver Gavel in this category—star Raymond Burr accepts the award from ABA President John Randall for lawyer-turned-writer Erle Stanley Gardner’s Paisano Productions. ^ Gould, Jack (May 23, 1966). "TV: Perry Mason's End Really a Rich Beginning". The New York Times. ^ Miller, Laura (July 7, 1980). "Gail Patrick, Actress-Producer, Dies". Los Angeles Times. ^ Nelson, Anne Roberts (2008). "Interview with Anne Nelson". Perry Mason: 50th Anniversary Edition (DVD, disc 4, chapter 17). Paramount Home Entertainment. ASIN B0012EM5F6. ^ Smith, Kevin Burton. "Bertha Cool and Donald Lam". The Thrilling Detective. Retrieved 2015-05-08. ^ "Cool and Lam TV Pilot Intro". The Rap Sheet. YouTube. Retrieved 2015-05-08. ^ Leitereg, Neal J. (July 17, 2014). "Helen Mirren's Hollywood rental has a star past of its own". Los Angeles Times. Retrieved 2015-07-21. ^ Davidson, Jim (2014). "The First TV Series (1957–1966)". The Perry Mason Book: A Comprehensive Guide to America's Favorite Defender of Justice (e-book). ASIN B00OOELV1K. ^ Barragan, Bianca (July 18, 2014). "Rent Helen Mirren's Lushly-Landscaped Hills Villa for $35k". Curbed Los Angeles. Retrieved 2015-06-26. ^ Lamparski, Richard (1974). Whatever Became of … ? Fifth Series. New York: Crown Publishers. p. 79. ISBN 0-517-51685-3. ^ a b "Gail Patrick Jackson Heads 1970 Christmas Seal Program". Bennington Banner. November 5, 1970. ^ a b "Delta Zeta Sorority's Woman of the Year". Indiana Evening Gazette. October 27, 1962. ^ "History of the Television Academy". Academy of Television Arts & Sciences. August 12, 2013. Retrieved 2015-07-06. Jolting the Television Academy's profile in 1983, actress Diana Muldaur became the organization's second female leader; actress Gail Patrick Jackson … had been the first. 'It was a boys' club,' said Muldaur. ^ a b c Davidson, Jim (2014). "The Second TV Series (1973–1974)". The Perry Mason Book: A Comprehensive Guide to America's Favorite Defender of Justice (e-book). ASIN B00OOELV1K. ^ a b c "Gail Patrick, Actress Who Gave Up Movies to Produce TV Series". The New York Times. July 7, 1980. ^ United Press International (July 7, 1980). "'Perry Mason' Producer Gail Patrick Dead at 69". The Hawk Eye. ^ "Gail Patrick". Find a Grave. Retrieved 2015-07-18. ^ "Salute Planned Tomorrow for Women in Advertising". The News. Van Nuys, Los Angeles, California. February 11, 1965. ^ "Samford Theatre Presents Alumnus, Student Awards". Samford University. June 6, 2000. Retrieved 2015-07-07. ^ "Author's Name–Gail Jackson". Edgars Database. Mystery Writers of America. 1960. Retrieved 2015-07-07. 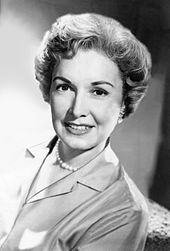 ^ "Gail Patrick Believed Delta Zeta Worthy of Major Bequest". Delta Zeta. Archived from the original on 2015-07-08. Retrieved 2015-07-07. ^ Grover, Pat Hinton (February 15, 1970). "Highlights: The Realms of Entertainment and Other Scopes". Altoona Mirror. ^ "Research Excellence Honorees – The Gail Patrick Innovation Award". American Diabetes Association. Retrieved 2015-07-06. ^ "Columbia College Hollywood Starts New Entertainment Business Curriculum". Tolucan Times. September 22, 2010. Retrieved 2015-07-06. ^ "Campus Overview". Columbia College Hollywood. Retrieved 2015-07-06. The Gail Patrick Stage is used both as a location for students to shoot their projects and also for classroom instruction. ^ "Columbia College Hollywood Best Place For Learning Film Making". Filmschool.org. April 14, 2011. Retrieved 2015-07-06. ^ Bogdanovich, Peter (1997). Who the Devil Made It. New York: Alfred A. Knopf. ISBN 9780679447061. ^ a b c "Gail Patrick". Internet Movie Database. Retrieved 2015-04-10. ^ "Unusual Occupations". Shields Pictures Inc. Retrieved 2015-05-08. ^ "Perry Mason 1957–66". The Classic TV Archive. Retrieved 2015-04-07. ^ a b "Kraft Music Hall". RadioGOLDINdex. Retrieved 2015-06-27. ^ "1937 Shakespeare Festival". RadioGOLDINdex. Retrieved 2015-06-27. ^ a b c d e f g h i j k l "The Lux Radio Theatre". RadioGOLDINdex. Retrieved 2015-06-27. ^ a b c "Lux Radio Theatre 1938". Internet Archive. Retrieved 2015-06-27. ^ "Lux Radio Theatre 1939". Internet Archive. Retrieved 2015-06-27. ^ "Lux Radio Theatre 1940". Internet Archive. Retrieved 2015-06-27. ^ "The Free Company". RadioGOLDINdex. Retrieved 2015-06-27. ^ "Lux Radio Theatre 1941". Internet Archive. Retrieved 2015-06-27. ^ "The Cavalcade of America". RadioGOLDINdex. Retrieved 2015-06-27. ^ "Cavalcade of America". Internet Archive. Retrieved 2015-06-27. ^ a b "Lum and Abner". RadioGOLDINdex. Retrieved 2015-06-27. ^ "Lux Radio Theatre 1943". Internet Archive. Retrieved 2015-06-27. ^ "Stage Door Canteen". Jerry Haendiges Vintage Radio Logs. Retrieved 2015-11-26. ^ "Gail Patrick to Aid Broadcast". The Tuscaloosa News. July 28, 1944. Retrieved 2015-07-06. ^ "The Harold Lloyd Comedy Theatre". RadioGOLDINdex. Retrieved 2015-06-27. ^ "Old Gold Comedy Theatre". Internet Archive. Retrieved 2015-06-27. ^ a b "The Lady Esther Screen Guild Theatre". RadioGOLDINdex. Retrieved 2015-06-27. ^ a b "Screen Guild Theatre". Internet Archive. Retrieved 2015-06-27. ^ "This Is My Best". RadioGOLDINdex. Retrieved 2015-06-27. ^ "This Is My Best". Digital Deli Too. Archived from the original on 2015-06-30. Retrieved 2015-06-27. ^ "Lux Radio Theatre 1946". Internet Archive. Retrieved 2015-06-27. ^ "Lux Radio Theatre 1947". Internet Archive. Retrieved 2015-06-27. ^ "Proudly We Hail". RadioGOLDINdex. Retrieved 2015-06-27. ^ Dunning, John (1998). On the Air: The Encyclopedia of Old-Time Radio. New York: Oxford University Press. ISBN 978-0-19-507678-3. Wikimedia Commons has media related to Gail Patrick. This page was last edited on 11 April 2019, at 17:47 (UTC).